Expand “Text” block. 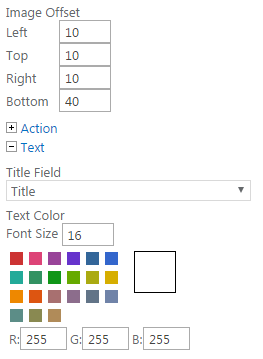 Choose field from which text for images will be taken. Define text color. The left picture has the bottom offset 40 px and the white text from the field “Title” displayed. 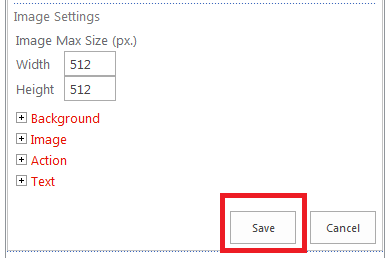 When you define all settings for the new data source click “Save”. To save all the settings click “OK” or “Apply”.